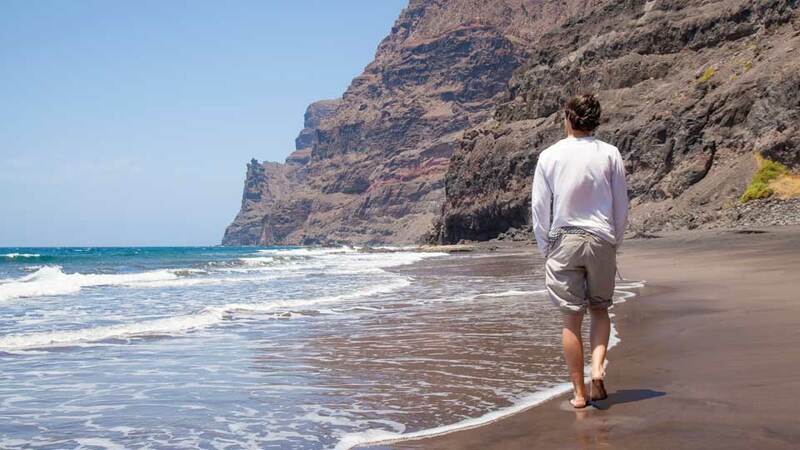 The perfectly secluded beach of Playa de Gui Gui in Gran Canaria is not your ordinary beach in the Canaries. This often sought after gem is hidden among ravines and rocks, and shows itself only after a challenging hike. Over the years, it has quickly become a favorite escape for those wanting to stray from touristy paths of the island to commune with nature. Due mainly to its remote location, Gui Gui has gained a reputation among naturalists and adventure-seekers. More than the destination, the journey to finding Gui Gui is a tale one would want to share with the future generations. 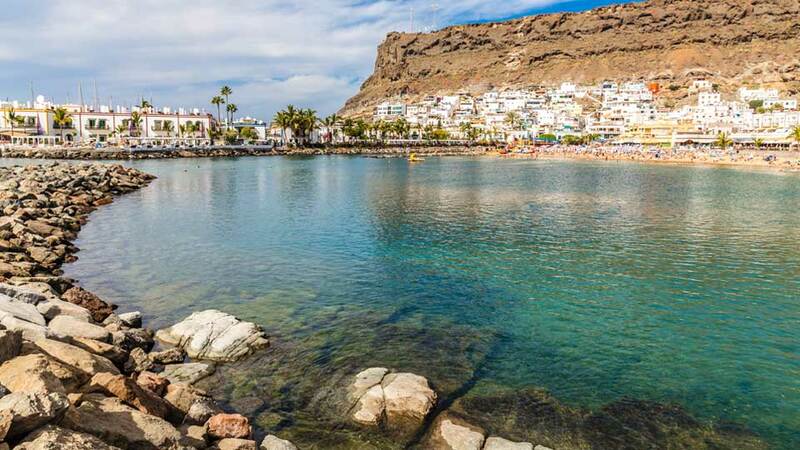 Carefully tucked away on the west coast of Gran Canaria, Gui Gui is far from the crowded attractions of the island. Located in the municipality of La Aldea de San Nicolas, the beach is only a few kilometers away from the town of Tasartico. Because of obscure signs, guests would have to keep their eyes open. Remote as it is, there are no buses that pass through this area. Hence, adventure seekers could only discover it by foot or by boat. 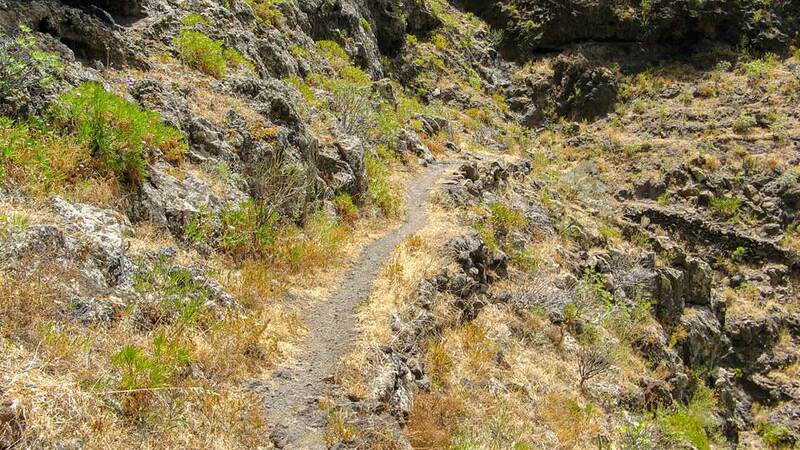 To get to Playa de Gui Gui, guests would need to hike through some challenging terrains. They choose either one of the two existing trails. The longer one starts in the town of La Aldea de San Nicolas and takes about 4 hours. Meanwhile, the shorter and more attractive option begins in the town of Tasartico. It is about 5 kilometers and takes around 2 to 3 hours to complete. As the peaks and cliffs can be demanding, the hike is only for those who are fit to climb. Although the hike going to Gui Gui is well worth the effort, those who can’t take the physical strain may opt to take a water taxi or boat instead. There are water taxis found in Puerto de Las Nieves on the northeastern coast. Each trip costs around 25 Euros and takes 20 minutes each way. Another option is to get a boat from the port of La Aldea de San Nicolas or Mogan. For those who prefer a more organized visit, there are some tours which stop at the beach for a short period. The mystical Gui Gui (pronounced as Wee-Wee) beach was formerly known as Guyguy. Its name was derived from the mispronunciation of a French visitor back in the days. Despite its recent popularity among tourists, it has always been a secret shared by the island’s original inhabitants before the Spanish colonization. Interestingly, Gui Gui has two beaches. The first of which is the Gui Gui Grande which got its name from the Barranco or ravine. The smaller beach is called Gui Gui Chico. A third beach called Playa de Tasarte looms nearby and is accessible by a short walk. All three hidden beaches are considered the most beautiful and most isolated on the island. For hikers, it is impossible to miss the raw beauty of Gui Gui from the peak. Fine volcanic black sands await those who seek its tranquil waters. The golden rays of the setting sun reflect beautifully along the Atlantic Ocean before dusk. During clear nights, the splashing of waves is music to the silent stars scattered in the sky. From the treacherous rock formations to the shore which hides when the tide is high, the atmosphere in Gui Gui is breathtaking. In the distance, Teide volcano from the neighboring island of Tenerife seems to wave and congratulate those who succeeded in finding this hidden treasure. The remote beach destination has remained unspoiled up to this day, thanks to the absence of modern establishments around the area. The hike to the beach offers stunning views left and right. The mountains display mostly gray volcanic rocks and sparse vegetation. Visitors may spot some residents, but overall, hikers are likely to have the trail and the beach to themselves. There is a local store at the end of the trail that sells necessities including rum and cigarettes, but there is hardly any assurance that it will be open. The place is off limits to campers, but some have dared to stay overnight. Those who did were rewarded with a vast and gorgeous night sky. Except for typical holidays, the place is almost always deserted. The hike to the beach is not an easy nor an overly difficult one. Nonetheless, it is not for those with difficulty walking. The view from the mountain pass is worth it, but for those who think a hike back is too much, a boat to Puerto Rico or Mogan could be booked in advance. Be sure not to overstock with food and only bring the necessities. As a rule of thumb, try fitting all edibles in the backpack to avoid having to carry excess baggage. Remember to bring trash back to preserve the unspoiled environment. Once in the area, many opt to stay overnight. Avoid drinking too much alcohol since a morning hangover won’t be the best companion during the hike back. Safety should be a priority, especially as it is a rocky beach with some large jagged boulders. The challenging ascents and descents may require hiking shoes to make the climb more comfortable. To prepare for sudden temperature drops in the evening, bring warm clothes or a thermal blanket. The isolation of Playa de Gui Gui is enough incentive for travelers who want to avoid the massive crowds at Maspalomas and Playa del Ingles. Despite the grueling climb and the lack of modern amenities, it never fails to leave visitors in awe. The beach is an unspoiled paradise far away from the congested tourist attractions on the island of Gran Canaria. It’s not an ordinary hike, nor is it an ordinary beach. The pictures will speak for itself, but it is unlikely to do it justice. Travelers with brave souls would just have to seek the adventure and see for themselves.